Your marketing materials should put your best foot forward. Halo Designs can help you market your business with brochures, advertisements, postcards and more. 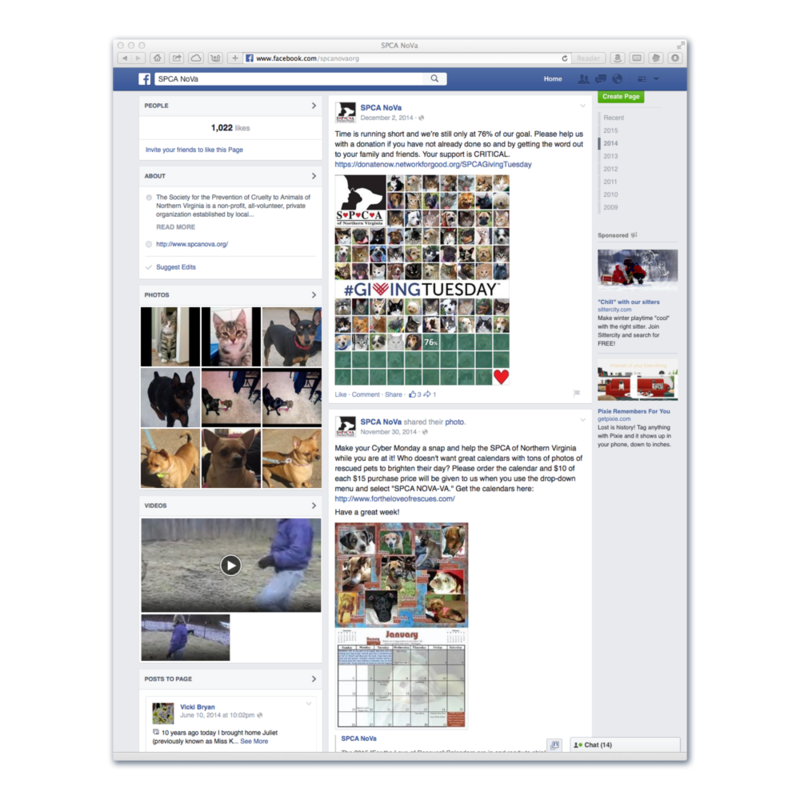 Scroll down or click on an image to see more. 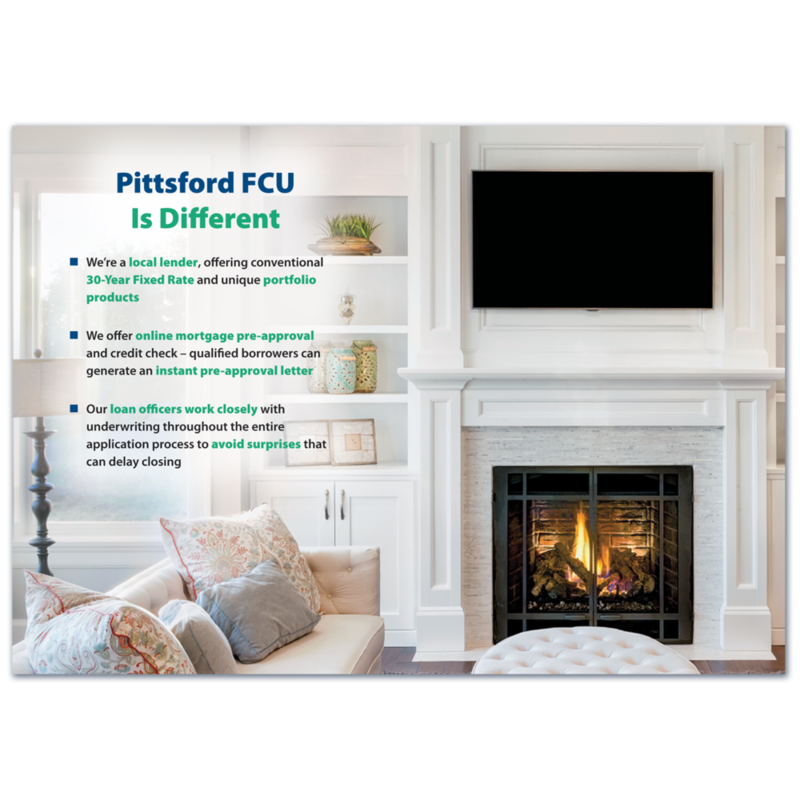 Pittsford Federal Credit Union in Pittsford, N.Y., discovered a company that makes marketing pieces with videos built in. 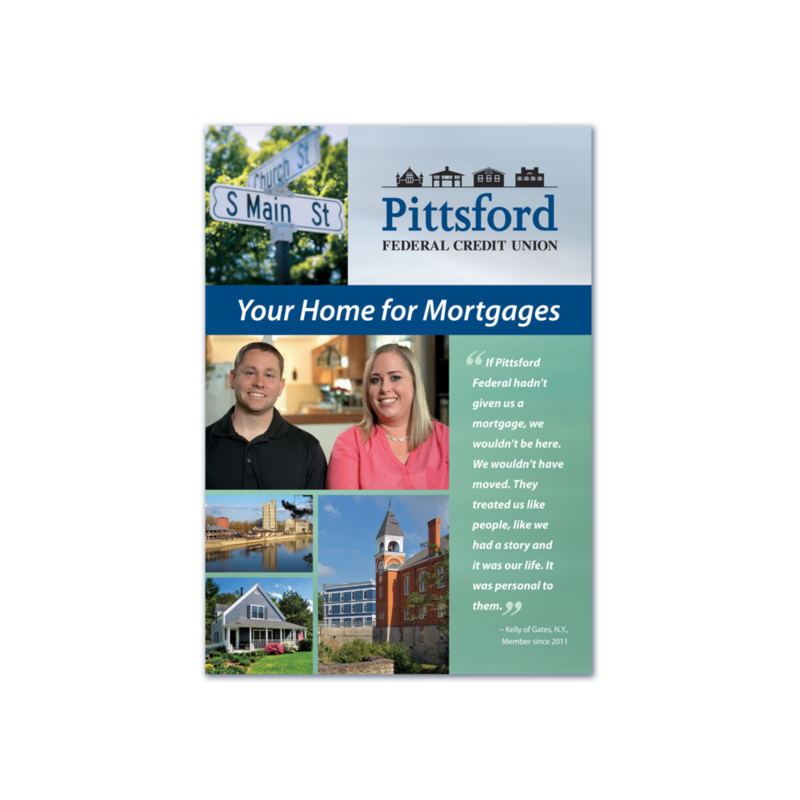 It hired me to design a video brochure for its mortgage department. I felt the perfect setting for the video playback would be a television. 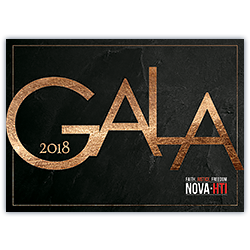 NOVA HTI, a non-profit organization dedicated to helping victims of human trafficking in northern Virginia, was looking for someone to design the promotional materials for its inaugural Gala in 2016. I volunteered my time to produce invitations, response cards, postcards, envelopes, Powerpoint templates, and programs. 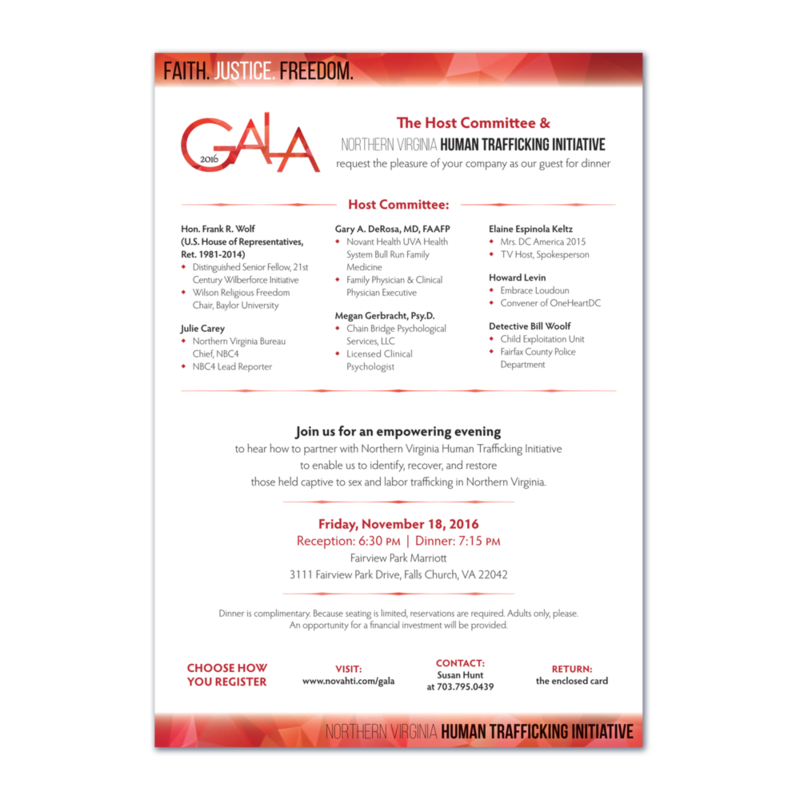 The Gala Coordinator was so pleased with my work for the first event that she convinced leadership to hire me to design the Gala materials again in 2017 and 2018. My good friend Susan Quilty hired me to design the book cover for her first novel, The Insistence of Memory. After reading the book, I definitely had ideas of what the cover should include, such as a bridge and birds. Knowing stock photography would be too expensive for commercial use for her self-published book, I researched old bridges in the area and found one that looked appropriate. Susan and I drove to the bridge, and she took several photos, including the one you see here. I then turned the photo into a more abstract background and added illustrated birds. 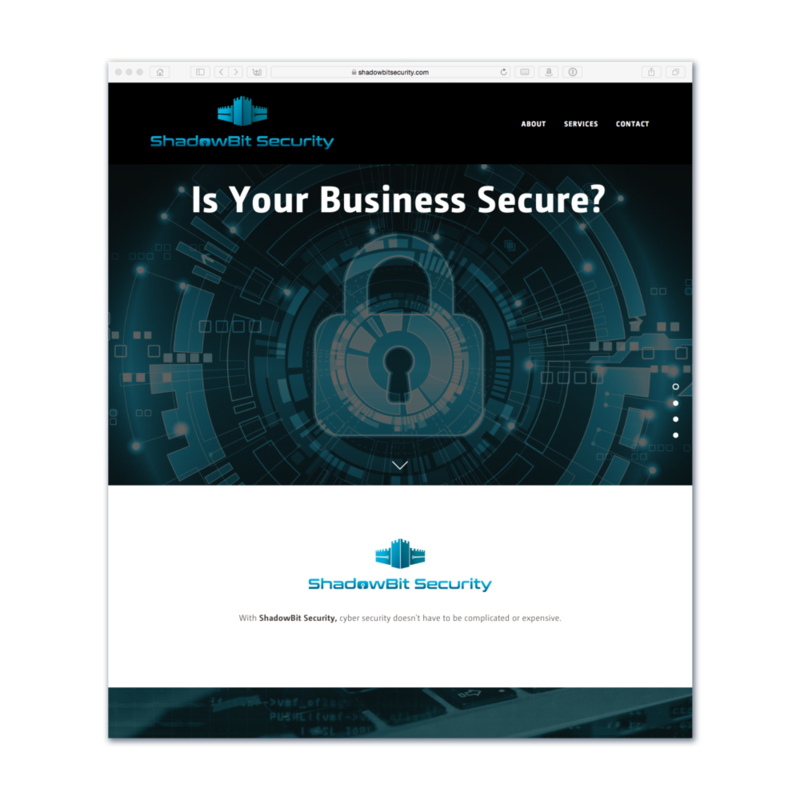 ShadowBit Security, a cyber security firm based in northern Virginia, hired me to help develop its brand. I designed its logo and set up a mobile-friendly website on Squarespace.com where it could manage the website on its own. 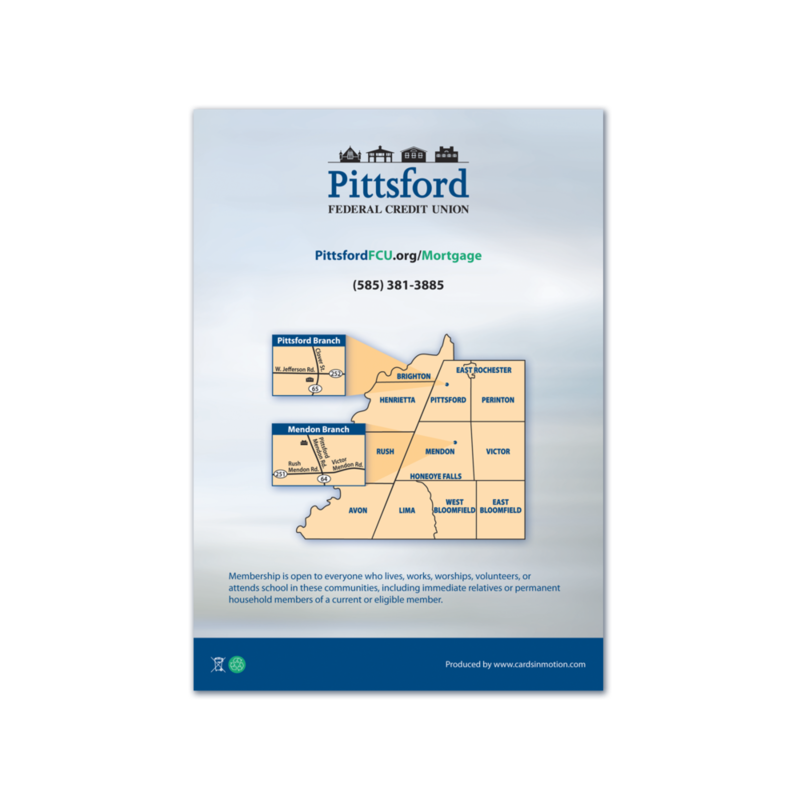 Pittsford Federal Credit Union in Pittsford, N.Y., advertises in several media, both to promote itself and to support local organizations. My goal is to create a message tailored to the audience with striking visuals that stay true to the branding we’ve developed. 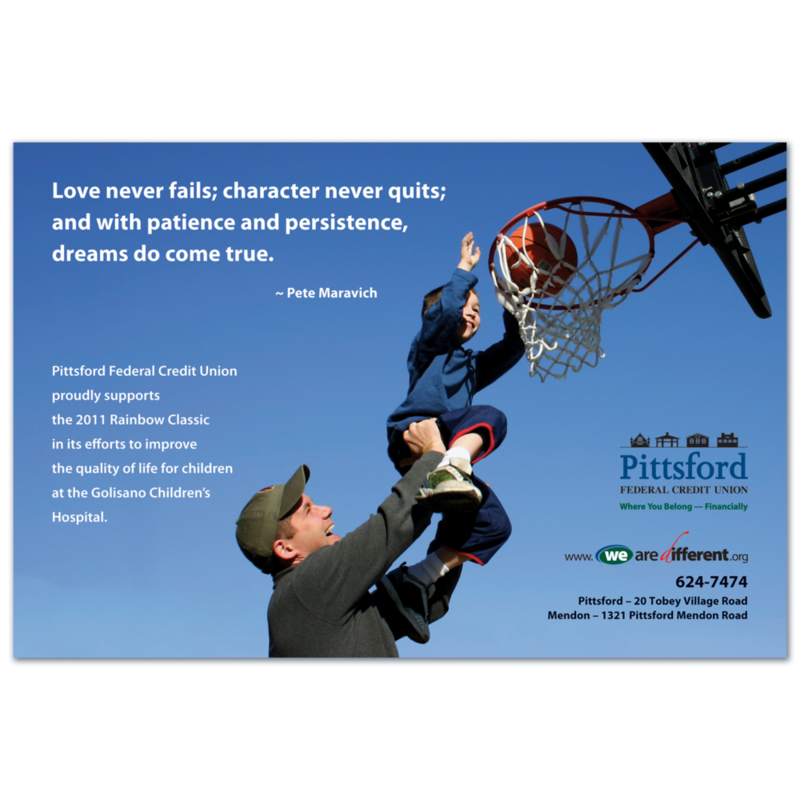 Pittsford FCU puts a strong focus on being friendly and accessible, so many of the ads I create include images of family. 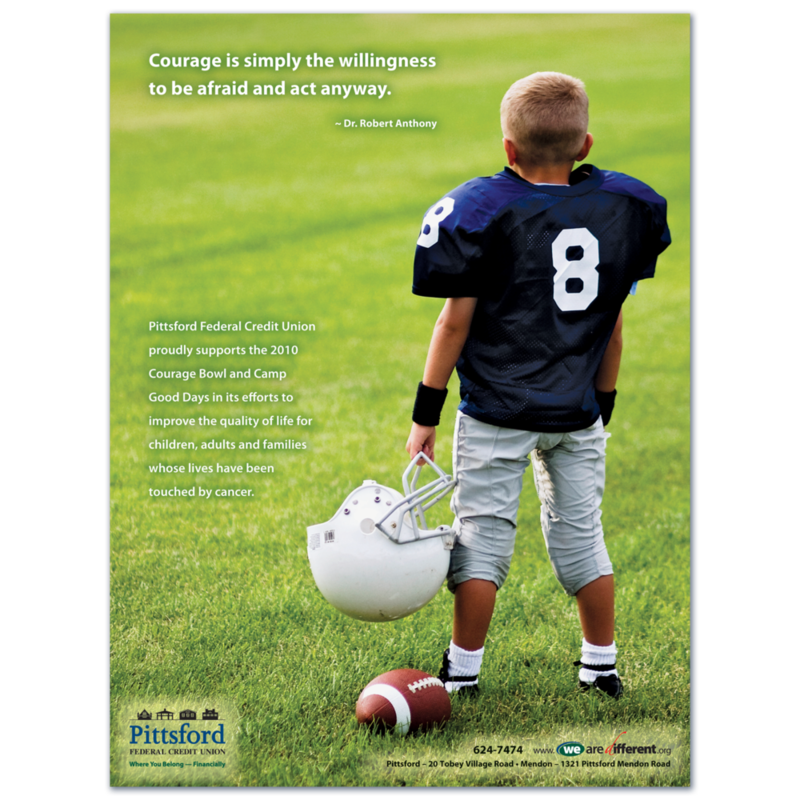 In addition to selecting stock photography, I also help write the text and often select quotations to fit the message Pittsford FCU wants to convey. 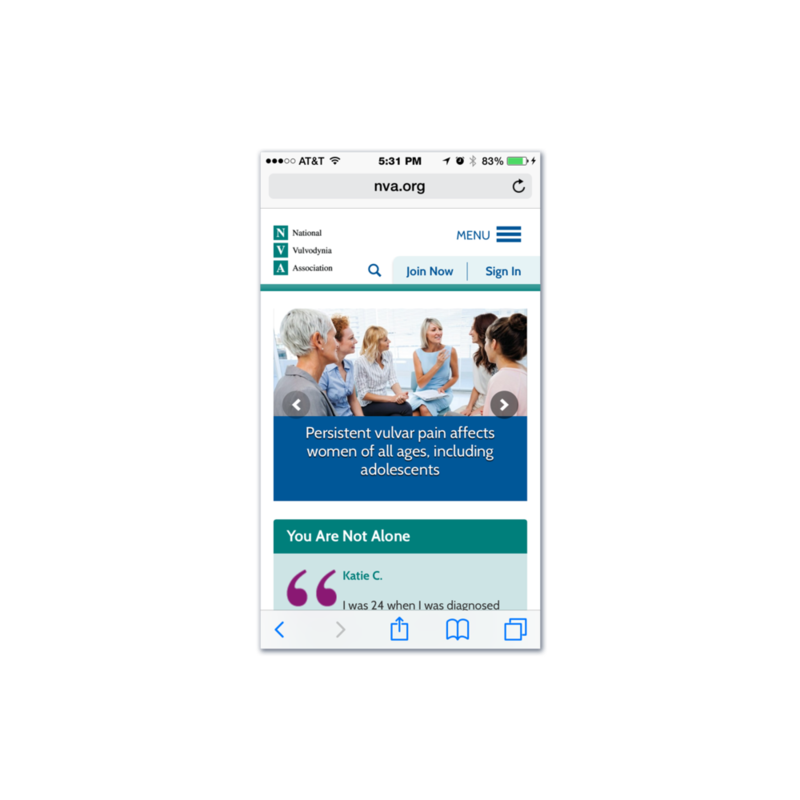 The National Vulvodynia Association (NVA) hired me to design a fresh, new look for its website to attract new members and better engage existing members. 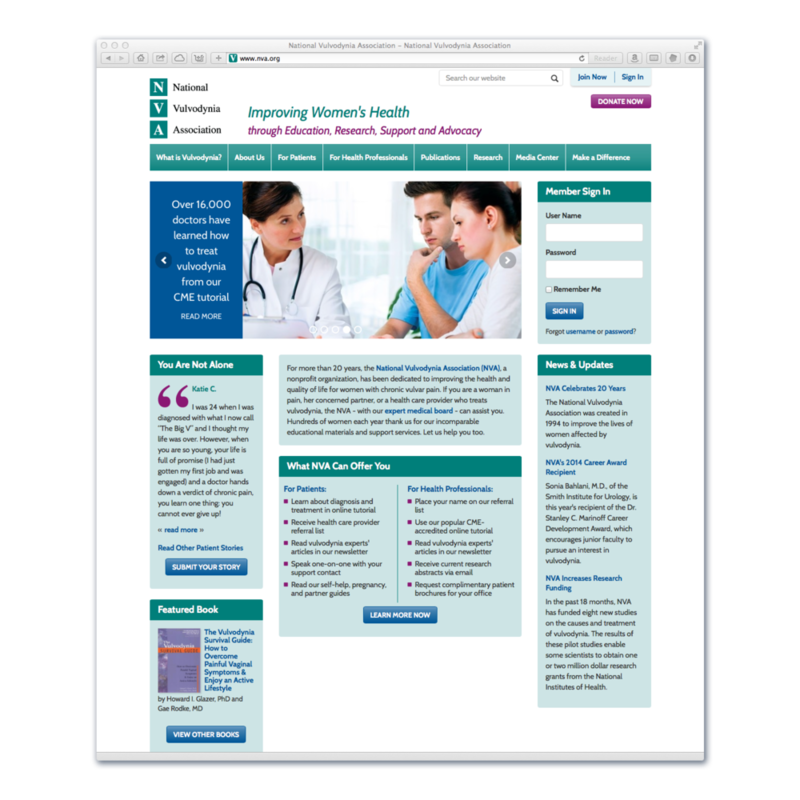 Because of the complex programming needed for the site, I focused on the appearance and teamed up with seasoned web developer Sononaco (now known as Wave Motion Digital) to build the infrastructure. 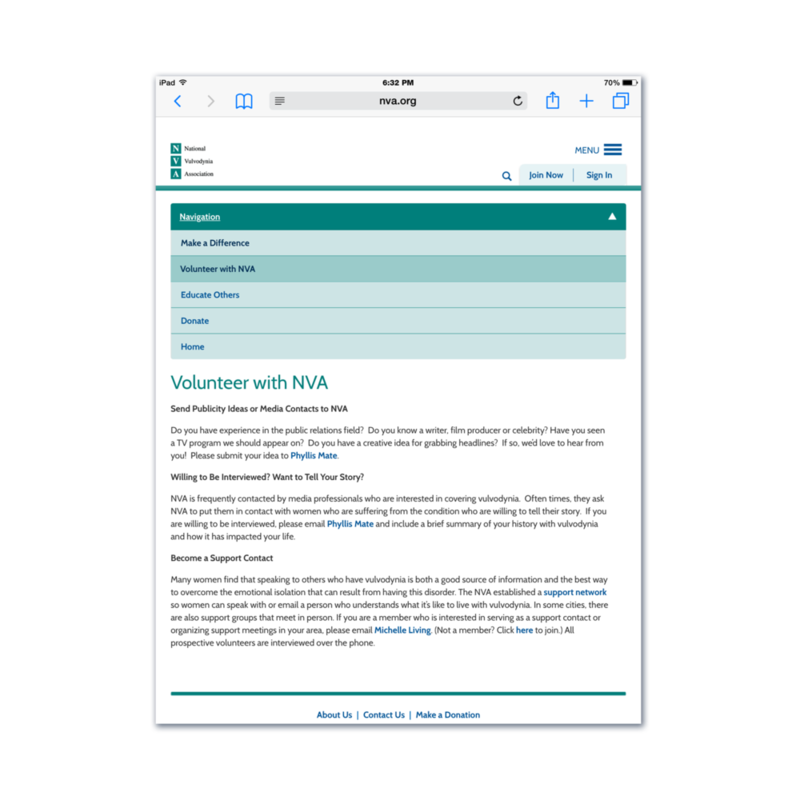 In addition to developing the overall look of the site, I also consulted with NVA on the site map to make it easier to navigate. 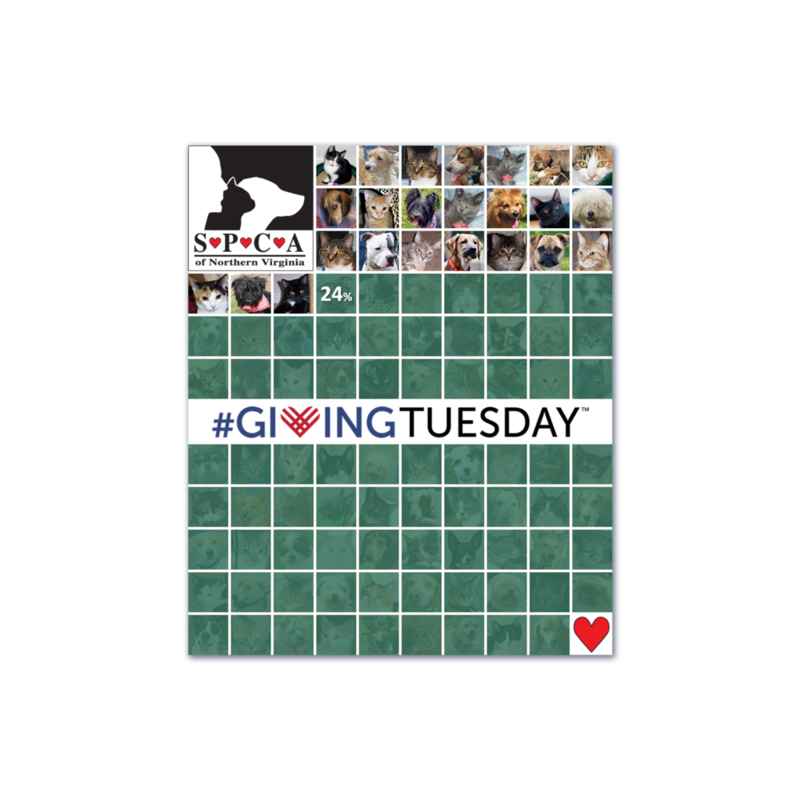 The SPCA of Northern Virginia (SPCA NOVA) decided to run a Giving Tuesday campaign to raise funds. I designed the campaign artwork, including a progress graph that revealed a new animal for every percentage reached toward its goal. The Society of Broadcast Engineers (SBE), headquartered in Indianapolis, holds an annual membership drive. When I was employed there, one of my responsibilities was to manage this drive, which entailed creating the theme and promotional materials, as well as soliciting prizes from corporate members. For the 2006 drive, I suggested streamlining the mailed promotion. 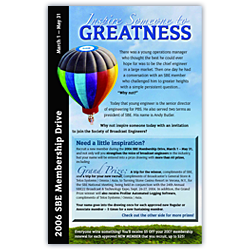 Instead of mailing multiple one-color flyers in a business envelope, I created a full-color postcard that directed members to the SBE website for additional information. I used personal photos I had taken at a hot air balloon festival - the SBE logo on top of the primary balloon is something I added in Photoshop. I also wrote the creative copy for the promotion, inspired by a conversation I had with a member.